Hanyu is a closed Japanese malt distillery. Hanyu is a fine malt whisky in Scotch style. The market was still dominated by commercial blended whiskies at that time and not ready to accept such a premium malt whisky that caused it failure. 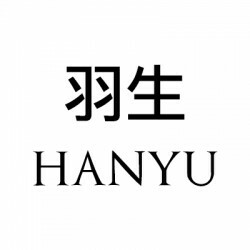 Hanyu stopped production in 2000 and closed in 2004. The operation and stock of sake were sold. Mr. Ichiro, the heir of Akuto family and he then established his own distillery Chichibu. Hanyu 2000 Isetan Cask 358..
Hanyu 23 Year Old 1991 for Isetan Cask 1386..
Hanyu 14 Year Old 2000 for Isetan Cask 531..
Hanyu 14 Year Old 2000 Clubs for Bar K6 Cask 123..
Hanyu 15 Year Old 2000 The Final Vintage of Hanyu Cask 3710..